Anyway, another patient came in and read the sign. Then he asked me if we had to do it. I told him what I did instead. He stood there for a few seconds trying to decide what to do. Then he walked out, presumably to go check in. Then the other day I took the train back from D.C. I had just emerged from a meeting with five lobbyists during which we discussed the implications of lifting the Cuban embargo. If you’ve ever watched Alpha House on Amazon, you’ll get a sense of how the meeting went, except that it wasn’t funny. The lobbyists talked at length about which Congressmen should be approached and when and how should we “shop” our proposal. Heavy stuff. I needed a couple of bottles of 5 Hour Energy to get through the meeting. Too bad I didn’t have any. It was exhausting trying to look like I knew what they were talking about for five hours. And of course I had to add something to the conversation. While the others talked, I Googled the acronyms they were throwing around to figure out what they were saying. By the time I left the meeting, I was bushed. I had ridden the train up that morning with my boss, who likes to talk. A lot. So on the way home (he stayed in D.C.) I needed peace and quiet. Although I had a business class seat, I decided to sit in the “Quiet Car” instead. I sat there waiting. I was going to give her until the train left the station. The car is called the Quiet Car for a reason. Passengers are supposed to be quiet. That’s the rule. I wondered how to enforce the rule. Should I approach her myself? Should I get the conductor? Should I move to the business class car? Fortunately she got off the phone before we left the station and promptly fell asleep. Problem solved. I’m a rule follower — most of the time. I’ll stop at a red light at two in the morning at a deserted intersection. 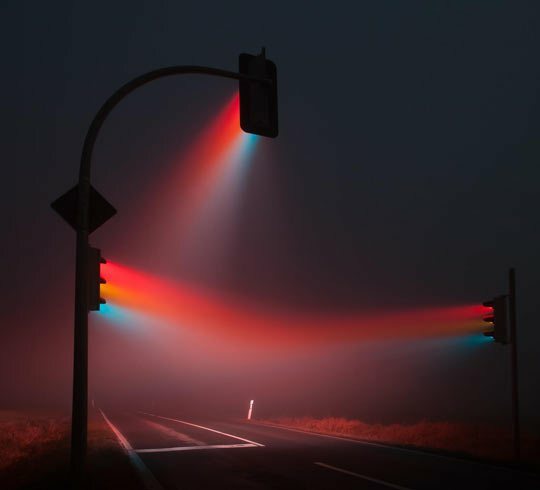 If the light is red, I stop. That’s the rule. That got me to thinking that there is a continuum of rule breaking. It’s not a slippery slope. Just because a person breaks a rule or two, it doesn’t mean that person is going to become another Jeffrey Dahmer. I think we are all that way basically. Some rules we follow and some we don’t. And each one of us chooses different rules to follow or to ignore. The man in the doctor’s office may not stop at red lights in the middle of the night. That may be one of the rules that he doesn’t follow. I think that for most of us, it depends on whether we agree with the rule and think it is necessary or fair. I like to think of it as civil disobedience on a micro level. What are some rules that you choose not to follow? Please put your answer in the comments section. I’d love to hear from you! 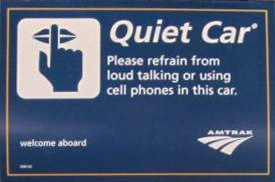 This entry was posted in Just for Laughs and tagged Amtrak, rules, train by Renata Manzo Scruggs. Bookmark the permalink. I was going to say that I consider myself a rule-breaker, but when I tried to figure out exactly which rules I break, I realize I’m a rule-keeper, which rather surprises me. Except for speeding. I tend to ignore speed limit signs. But they’re just a suggestion, right? Oh – and were we breaking any rules when we carried adult beverages to the craft weekend? I always obey handicap parking signs and hope everyone else does too. I never obey HOA rules that require written permission to maintain the unsightly empty lot next to our home before raking, mowing, etc. I question the HOA rule that tells me I need written permission to cut down a dead tree that is leaning precariously close to my house, but I have not broken it yet. Like Kathy, I do not obey speed limit signs always, but I rarely exceed the posted speed by more than ten miles per hour. I always silence my cell phone when I am at the movies or in church and hope everyone else does too. But, if I am at the doctor’s office and they require no use of cell phones, they better keep to the schedule…..otherwise, I will break this rule too.